While the economy has improved over the last five years, there are still many individuals and families struggling due to either underemployment or the unwillingness or ineptitude of lenders to work with them to keep their home through a modification. As a result, many people still face losing their homes in foreclosure even though they may now have the ability to make their mortgage payments but cannot pay off the missed payments in a lump sum. However, if someone is facing a foreclosure sale and/or just dealing with a lender that is unresponsive, there are three tools available to them in a Chapter 13 Bankruptcy filing that can help them keep their home, even if the mortgage lender has been unwilling to work with them. This article will address these three options. First, let me state that one of the tools I am not going to discuss is the Automatic Stay provided under the Bankruptcy Code upon the filing of a bankruptcy petition. (See, 11 U.S.C. §362(a)). 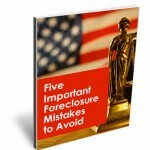 While the filing of the petition is a means of stopping a foreclosure sale, it is merely a temporary bandage if the debtor doesn’t have a real plan on what to do next. Without a plan of action, the lender can have the stay lifted in 30-45 days and the sale re-scheduled. If a debtor wants to keep their home, they must have a regular income and implement one of the tools below to save their home. A debtor may keep their home in a Chapter 7 or in a Chapter 13 as long as they are current at the time of filing and can continue to make their payments. But what happens if the debtor has a large balance of missed payments? The unique option concerning a mortgage on a homestead property in a Chapter 13 case is that a debtor can also force the lender to accept any payments that are owed as of the date of filing of the petition in the bankruptcy plan by spreading those payments out over 60 months. For example, if a debtor owed $18,000 in back payments, the debtor can spread the repayment of that $18,000 out over 60 months at $300 a month (while also making the current payment of principal, interest, taxes and insurance), and the lender would have to accept those payments to bring the debtor’s account current. This is a useful tool to stop the foreclosure process for a debtor who may have fallen behind on payments for a period of months due to the loss of a job or illness but now has the ability to earn the same income prior to the default and make the regular mortgage payments plus the amount to cure the arrears. Another useful tool to save someone’s home in a Chapter 13 filing is the removal or “stripping off” a second or third mortgage. In order to eliminate a second or third mortgage and treat it as an unsecured debt to get lumped in with other unsecured creditors, a debtor has the burden of proof to establish that the value of their home is less than the balance owed on their first mortgage. For example, let’s take a debtor who purchased a house for $300,000 and, at the time of the purchase had obtained a $225,000 first mortgage, and then later took out an equity loan of $50,000, so that the total debt was $275,000. 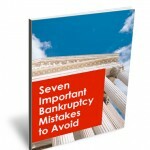 Due to the downturn in the economy, the house at the time of filing of the bankruptcy petition is only worth $200,000.00 and the debtor still owes $220,000 on the first mortgage and $50,000 on the second, since it was an interest-only payment on the second mortgage. In this case, the debtor can file a file a motion to strip off the second mortgage, and have it treated like other unsecured creditors such as credit cards. As a result, when the debtor completes her plan payments and receives her discharge, the second mortgage is no longer a lien on the property. Quite often, being relieved of a second or third mortgage payment can make the home affordable again and allow the debtor and her family to continue to live there. The same theories can also be used on a Homeowners’ Association lien to strip it off if the balance of the first mortgage exceeds the value of the home. This can sometimes be instrumental in getting approval on a short sale and/or to make the payments affordable again. Despite these first two tools, it is important to note that the court has no power or authority to reduce the balance owed on a FIRST MORTGAGE. These rules only apply to second or third mortgages. However, if these options don’t work for the debtor, that’s where the third tool comes into play. 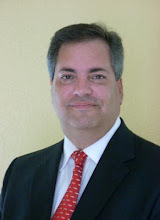 During the height of the foreclosure crisis highlighted by “rocket dockets” in foreclosure courts, the bankruptcy judges and trustees for the Middle District of Florida, along with the bankruptcy bar, came together to try to develop a better procedure for debtors to get a proper review of their financial situation and get a meaningful response from their lender. The judges realized that the automatic stay was not enough to help a debtor get reviewed because the lender could simply move to get the stay lifted before the modification was fully reviewed. Unfortunately, in my experience in defending foreclosure actions, the left hand did not know what the right hand was doing (i.e. the lender’s foreclosure department vs. the work out department). The solution that has been implemented in the Middle District of Florida is the Mortgage Modification Mediation program. Under this program, if a debtor files a bankruptcy plan where he dedicates 31% of his gross income for his mortgage, taxes and insurance and files a Motion to use the Modification review system, then the automatic stay is continued for six months, which allows adequate time for a modification application to be reviewed. Additionally, the court has set up a portal where all the documents are uploaded and all counsel, the court and the mediator can see whether the debtor has provided the requested documents. This avoids the lender’s excuses that it “lost” the documents or when a new person takes over the file and claims not to have any documents. While not everyone may qualify for a modification and there is no obligation that the lender has to provide a modification, in my experience with my clients in the program, even when they were previously denied a modification during the foreclosure, if the modified payment falls with the 31% of the gross income, they have received the modification. The only downside to this process is that if the modification is approved, the debtor must continue to make their mortgage payments in the plan and, since the trustee gets a 10% administration fee based upon the amount of the plan payments, there is basically a surcharge imposed for the modification during the life of the plan. While the common thought is that someone only files for bankruptcy if they have a lot of credit card debt or medical bills, these three tools show that bankruptcy provides options and protections for someone to keep their home, even if they have no other debts. Congress enacted bankruptcy laws to give people a fresh start after an unanticipated financial or real life personal crisis. The three tools discussed above are specifically designed to help people get a fresh start with their mortgage and keep families in their homes so they may continue to pursue the American Dream of home ownership.